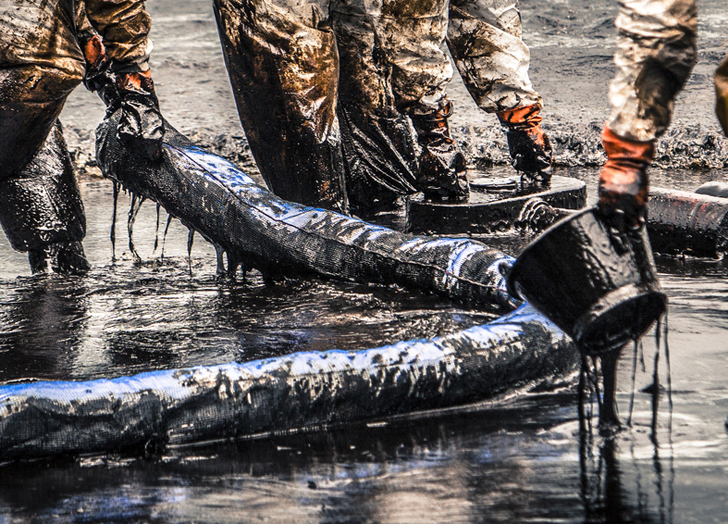 Last week, a pipeline outside the Russian town of Tuapse burst, sending a flood of oil into the Black Sea. Cleanup efforts have been slow due to severe storms and unsafe water conditions, and the local government has declared a state of emergency. The severity of the spill and the full extent of the damage are still in question. According to ChernomorTransneft, a subsidiary of Russia’s main oil transport company Transneft, approximately 8.4 cubic meters of oil leaked into the body of water, but critics are skeptical about that figure. The damaged section of the pipeline was reportedly under construction by a subsidiary of oil giant Rosneft and was not yet being used by Transneft. Oil company officials are blaming a landslide for damaging the pipeline. Stormy weather on the Black Sea created waves up to 10 feet high on Thursday, which made it impossible to use boats, so the cleanup process has been slow. Days later, more than 300 workers are still struggling to contain the spill. A state of emergency was declared on Christmas day, according to the Krasnodar regional government website. The World Wildlife Fund estimates that the spill has already polluted over 9 miles of the Black Sea shoreline, which could be devastating to local flora and fauna if a thorough cleanup is not carried out. The organization further claims that slow responses by Rosneft and Transneft contributed to the extent of the damage, since the spill was not reported to authorities for many hours after it was discovered by the oil companies. WWF believes that the surface area and characteristics of the spill indicate that there could be as much as 500 to 700 tons of oil in the Black Sea, which would be approximately 100 times as much as originally reported. Images via Shutterstock and Flickr. The spill wasn't reported immediately, and thus may cause far more damage than originally projected. 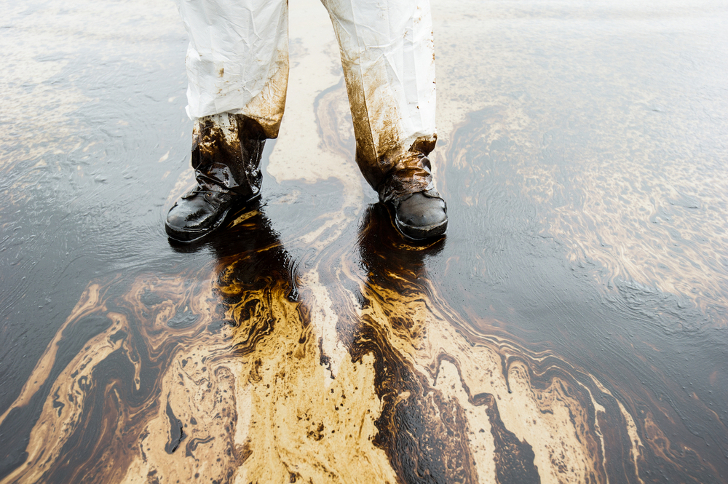 A pipeline burst in Russia, pouring tons of oil into the Black Sea. The extent of the oil spill could be up to 700 times worse than originally reported, and will devastate local flora and fauna if not cleaned up properly.